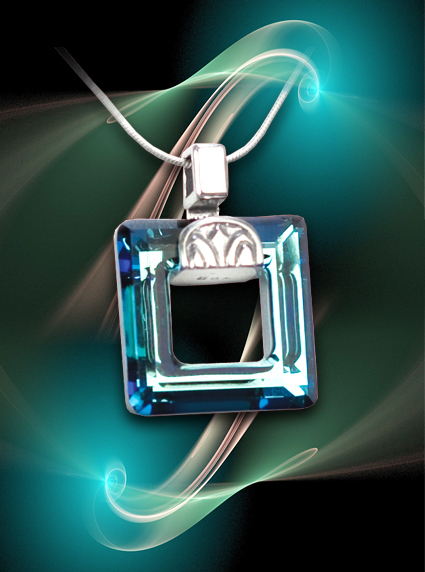 Blue Square Pendant infused with VFT Success & Achievement and Healing Love. Swarovski crystal components are regarded as the highest quality machine cut and polished crystals in the world. 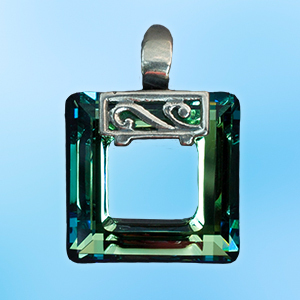 We have combined the energies of Healing Love and Success & Achievement in these delightful and unusual Swarovski pendants. They are the perfect carrier for this combination of Vital Force™ energies. The lovely energy of the Healing Love with its support for feelings of loving kindness and well-being towards oneself as well as others is a perfect complement to the Success and Achievement for supporting your intentions for manifesting your most cherished goals. The sense of optimism and creativity encouraged by the Healing Love energy gives you a significant advantage in working to achieve the inner alignment necessary to clarify and manifest your higher goals in life.